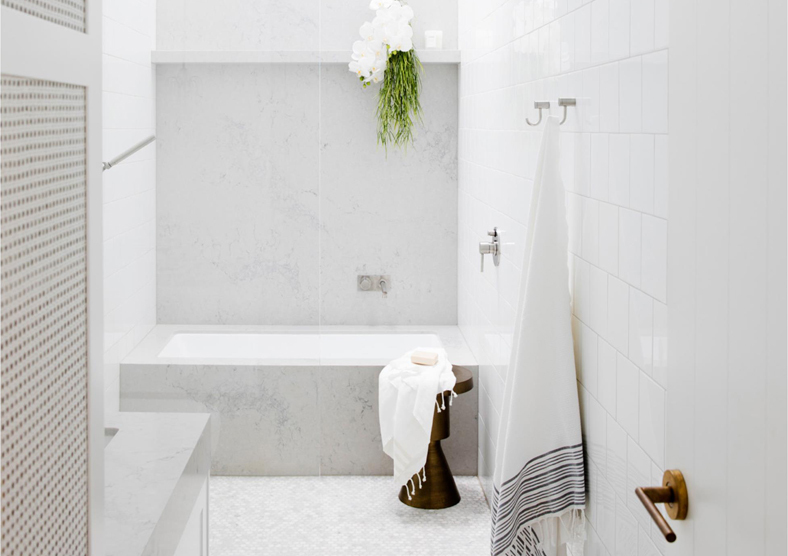 Don’t let a small ensuite space restrict the style and functionality of your bathroom. It can be the perfect opportunity to showcase your style with some space-enhancing, personalised design statements to give the feel of a spacious and luxurious ensuite retreat. The first step is to prioritise your needs and wants. 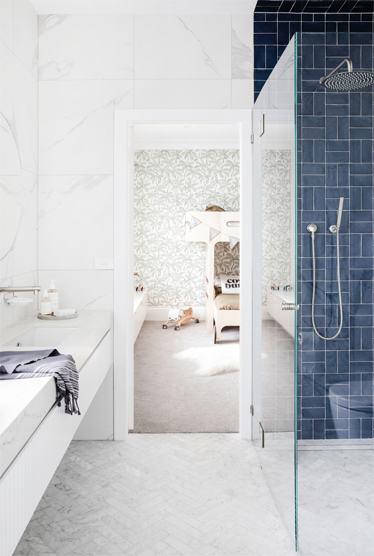 Work out what you actually need in your ensuite that will ensure it fits in with your lifestyle and the demands of everyday use, then add to this list a few luxurious touches you’d love to include. After all – it’s a room you’ll be spending time in every day. When making decisions about the style and colour scheme of your ensuite, there are several visual tricks that can be used to create the illusion of more space. Using large rectangular tiles with minimal contrasting grout lines, and tiling to the ceiling will enhance the sense of scale of a small ensuite. Laid horizontally, the rectangular tiles will appear to elongate the dimensions of the room, and large tiles laid vertically will appear to raise the ceiling height. Maximise the amount of natural light entering your ensuite through a strategically placed window or overhead skylight and complement this with some ambient lighting to make the room bright and inviting. Large mirrors and reflective surfaces will bounce the light around the room, brightening every corner and making the space seem larger. Optimise the floor area of your small ensuite by selecting stylish yet compact fixtures and fittings that don’t encroach into the space too much. A wall-hung vanity is a great option as it sits up off the floor while also giving you some storage space to reduce clutter in the room. In addition, a concealed toilet – where the cistern is actually inside the wall cavity – can save on valuable floor space in a small ensuite. Otherwise, consider a wall-faced toilet and cistern which sit flush against the wall. A frameless glass shower screen will ensure the ensuite remains open and bright – there are no frames to cut through the room and the clear glass enables the light to penetrate. Also consider having some recessed shelving in the shower where you can store bathroom items neatly off the floor. 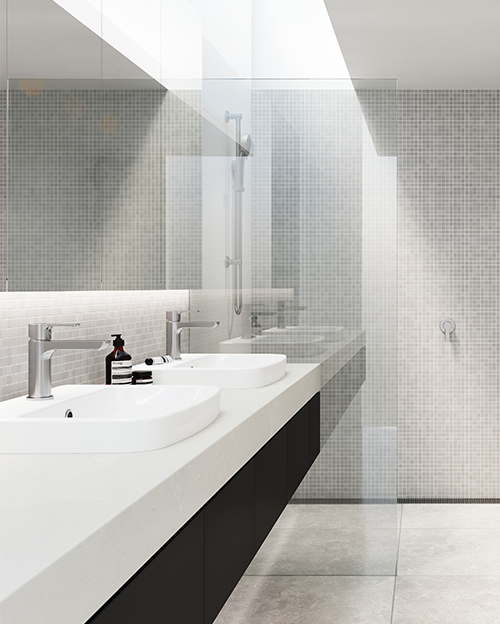 Your selection of tapware and bathroom accessories is your chance to really personalise your ensuite. 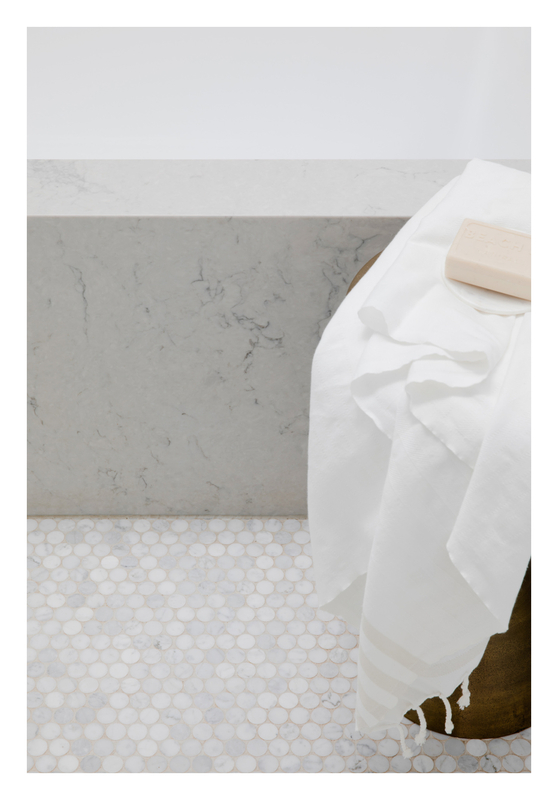 Choose pieces from the same product range to create a sense of continuity throughout the small space and use the opportunity to add a couple of luxurious pieces such as an indulgent rain shower. 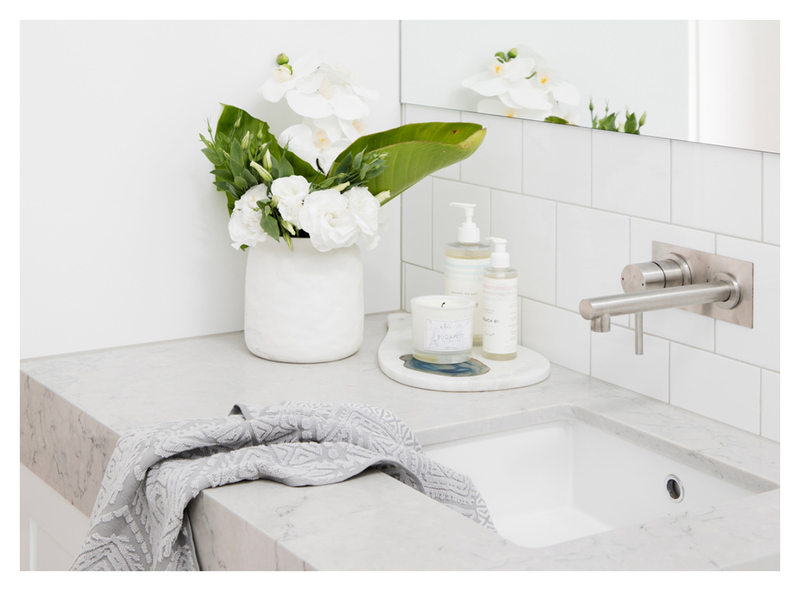 Stylish wall-mounted tapware above your basin will also enable you to have a narrower vanity, saving on space, as it omits the need for a tap landing. Finish off your small ensuite with some deluxe towels and a pop of colour that will tie it in with the design style of the rest of your home.